Welcome to Frog and his world. He enjoys nothing better than spending time floating in his pond or visiting with his friends. He appreciates the simpler things in life and would prefer that things stay just the way they are - nice and peaceful. From acclaimed children's writer Eve Bunting comes a new beginning reader series featuring the delightful Frog and his friends Rabbit, Possum, Raccoon, and Squirrel. 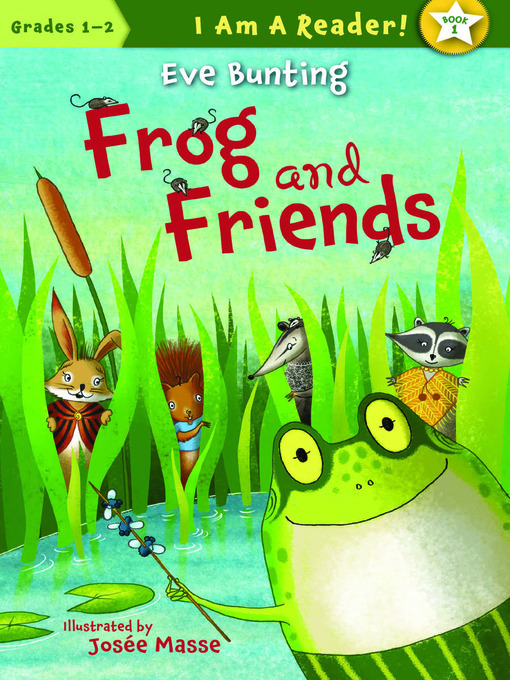 In the first book Frog is alarmed when he finds a strange object in his pond, he tries to re-gift a scarf, and he makes friends with a runaway hippo. 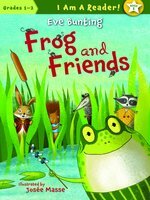 In Party at the Pond Frog is busy with his autumn party, he is overseen dancing around the pond, and he narrowly escapes being turned into a prince. Retro-style artwork by illustrator Josée Masse gives a fresh, distinctive look to this new series. Brought to you by Kettle Moraine, and built with 💕 by OverDrive.